Toddlers are great fun. Except, whenever I try spend ages thinking up a great activity for them, they loose interest in about 3 seconds. I have come to realise that the best activity for a toddler, is the one that doesn't require any preparation. Something that the toddler actually wants to do. Which is normally whatever I'm doing. I just start playing and before I know it, the toys have been yanked out of my hands and they are busy doing an activity! Playing with Pots and Pans. This could go on for hours. Sebastian likes to get the pans out, put all the lids on and “cook”. He also likes to play with his toy kitchen in the same way. There is nothing more fun that knocking over a tower of blocks. If you’re lucky they might even help you to build it too. Using scissors is a great way to practice fine motor skills. We have safety scissors for the toddlers. If you’re worried about scissors, you can just tear up bits of paper. Great fun! Similar to blocks but generally more focused on building than knocking things down. Or just playing with the animals. A great activity for all ages. My twins love to explore making marks on paper. I normally give them an old cereal packet to scribble on as it’s nice and big. They like to use wax crayons or fat felt tips. My twins love playing with wooden jigsaws. To begin with they just take the bits out. As they get older, they like to put them in as well. Actual cooking this time! We all have to cook dinner and if my toddler twins are around, I often give them a job to do. Peeling carrots, mixing, fetching. Ok, they don’t really peel the carrots but they think they do! Toddlers love to help. Give them a job to do and they’ll be happy for hours. Well, minutes. My twins like to mop, sweep, hoover and arrange the clothes. I’ll have them trained in no time! 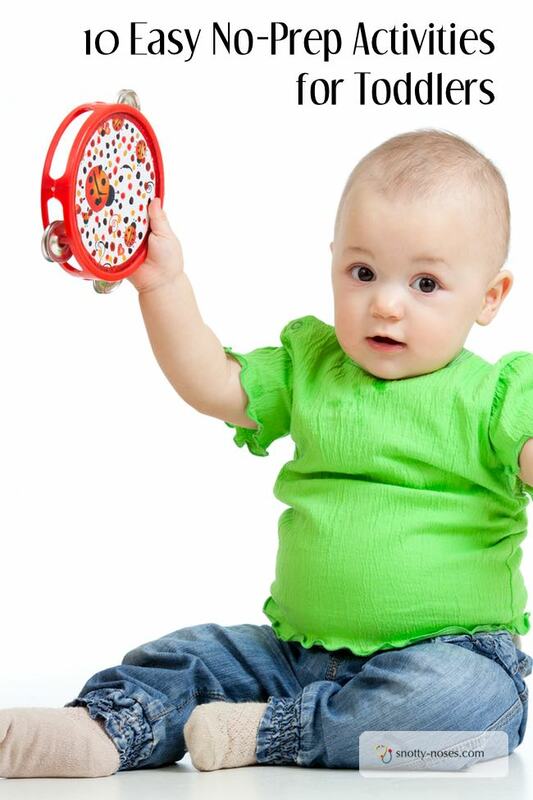 Singing is a great way to help them learn to speak. We love action songs such as “twinkle twinkle little star” and ‘the wheels on the bus”. It’s so cute when they actually join in. “Star, star, star,” they sing! If you don't have a drum or a tambourine, don't worry. You can find so many things that make a good sound. These are activities that you can do whenever your toddler is showing signs of getting bored. 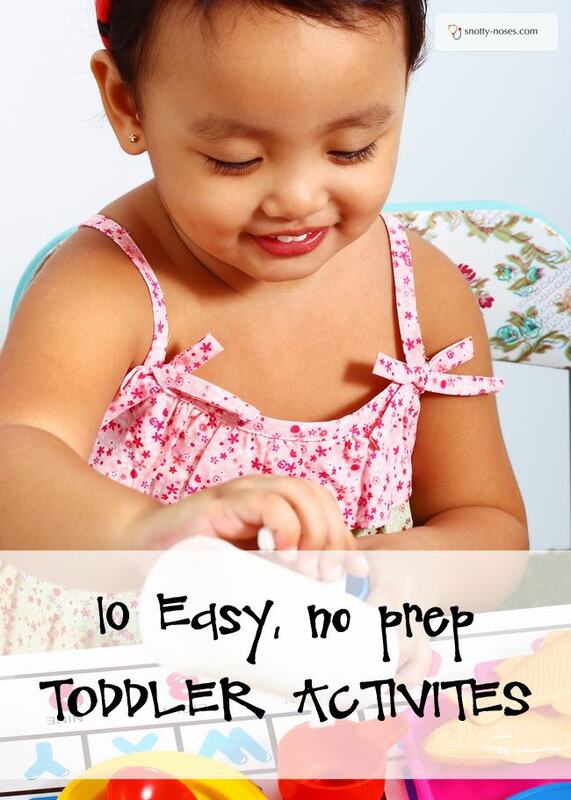 Easy, simple toddler activities that your children will love. Here are a few things that my twins love playing with. They aren’t exactly the ones that we have, but I’ve chosen ones that are as similar as possible. You don’t need these things to do the above activities, they’re just ideas of things we love. These are affiliate links.